For centuries, children and adults have treasured the stories handed down by Aesop, a slave who lived in ancient Greece approximately six centuries B.C. Known for their charm and simplicity, these simple tales feature brief adventures of animals, birds, and beasts - with a message hidden in each narrative. 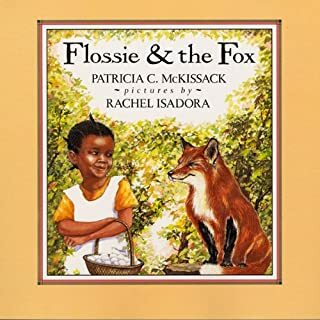 Every child should meet up with "The Hare and the Tortoise", "The Ants and the Grasshopper", "The Goose and the Golden Egg", "The Wolf in Sheep's Clothing", and other characters. Great book kids love it. This is not the correct reading of the book. "One day when Pooh Bear had nothing else to do, he thought he would do something, so he went round to Piglet's house to see what Piglet was doing." Thus begins The House At Pooh Corner, A.A. Milne's wonderful companion volume to Winnie-the-Pooh. You will rediscover Pooh, Christopher Robin, Piglet, Eeyore, and all their friends, and be introduced to the irrepressible and very bouncy Tigger. 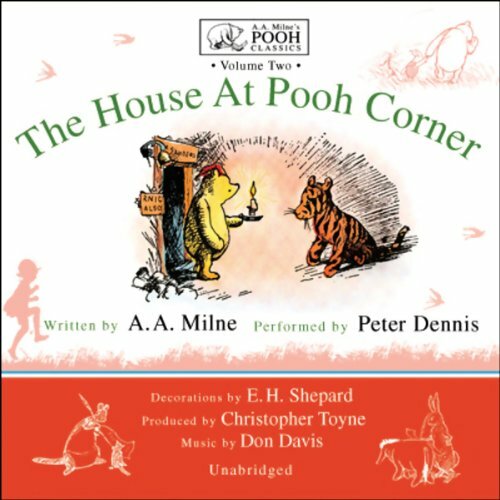 Blackstone Audiobooks presents, from the unabridged collection A.A. Milne's Pooh Classics, the 10 simple and timeless tales of The House At Pooh Corner performed by Peter Dennis. This is the only reading of these enthralling stories authorized by A. A. Milne's son, Christopher Robin, who wrote, "Peter Dennis has made himself Pooh's Ambassador Extraordinary and no bear has ever had a more devoted friend. So if you want to meet the real Pooh, the bear I knew, the bear my father wrote about, listen to Peter." As you begin to listen to this beloved book, you'll enter that enchanted place on the top of the Forest where "a little boy and his Bear will always be playing". All the material is unabridged and taken from THE HOUSE AT POOH CORNER ©1928 by E.P. Dutton & Co. Inc., Copyright Renewal 1956 by A.A. Milne. All material Copyright under the Berne Convention. Recorded by permission of The Trustees of the Pooh Properties. Illustrations by E.H. Shepard copyright as above and used by permission of the Estate of E.H. Shepard. Color Illustrations ©1991 Dutton Children's Books. 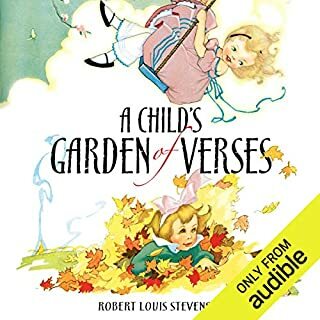 The narrator is good (though of course I'm biased to how my father read the stories to me when I was little and no other narrator can be quite as good) but unfortunately the makers of the audio book went a little overboard and put background noises in. These are slightly distracting but wouldn't be too bad if there wasn't an oinking sound every time Piglet says anything, which makes him sound like he has an awful gas problem emanating from various orifices. "Ppptt" or "urp" every five minutes can be quite annoying. With most characters the reader tends to end his sentences with a form of verbal punctuation (ex: "pptt" or "haha!"). Other than that the reading is quite charming. 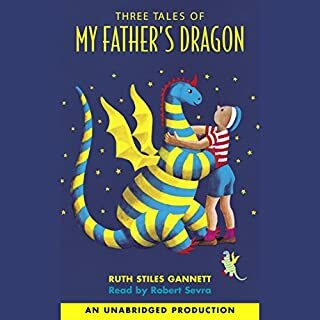 My five and seven year-old sons love this audio book. 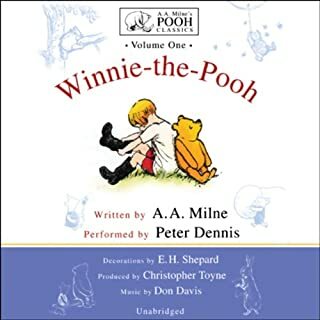 I've tried to read the Pooh stories aloud (there is a knack, which I don't possess) so we all appreciate the excellent narration of these stories. Also, this is a great bed-time selection, as the pace and action are gentle. 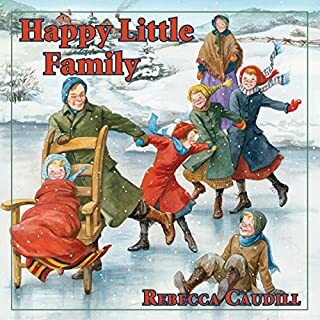 These are not too babyish for young grade school listeners -- the language is much more sophisticated than in the Disney videos, although the characterizations are similar. What made the experience of listening to The House at Pooh Corner the most enjoyable? Peter Dennis brings the characters to life. He does his own thing and doesn't try to emulate the Disney version at all. I love his characters although I'm not sure I like Tigger's voice as much as the others. Roo is my favorite. Dear A. A. Milne and Peter Dennis, Thank you. I am a librarian and have spent hundreds of hours reading stories aloud and hearing others -- quite talented others -- reading stories. I love a great storyteller. Peter Dennis truly understands and communicates the the full scope and spirit of the stories and characters residing in the Hundred Acre Wood. 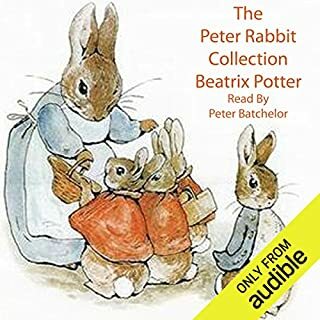 My daughters love these audiobooks, thus i've heard them many dozens of times. I never tire of hearing them. Thank you A. A. Milne, for being a keen observer and not condescending to children. Thank you Peter Dennis for really 'getting it.' And for being such a delightfully generous storyteller. Your storytelling and Milne's story are a real part of our life. I am truly grateful and hope you find other stories you want to narrate. My four-year-old had a hard time calming down before bed; this worked miracles. Each story is ~20 minutes long, a perfect length to pay attention at four, and enough time to settle down. He listens to it in bed, with the lights off and is enthralled. He loves the piglet snort the narrator uses; makes him giggle every time. I bought this book for my children but found that I was spending more time listening to it than they were and Peter Dennis brought these stories to life and transported me back to my childhood. The overall narration was excellent however just as many other reviewers found, Piglets shorting was annoying but after a while you will get used to it. I started off wondering if the narrator had recorded it by the beach, with the seagulls in the background. Also did NOT like the snorting in every line by Piglet. It's a lovely story in it's own right, and perhaps this narration would appeal to young children, but I found it irritating to listen to. I read Winnie the Pooh stories many times to my small daughter, the reminiscence on hearing this narration made me both smile and shed a tear. Happy times. I miss Pooh, I miss Piglet and the whole menagerie and was glad for a lovely nighttime listen. i didn't know these did exist??! so cute! I love Pooh stories. the narrator is great with each character's voice. he's a very talented preformer. I loved it. My 8 year old son and 6 year old daughter have enjoyed this book nearly as much as my wife and I. The reading does this timeless classic justice, although Piglet's voice required a little getting used to. Overall, well worth the listen. I had no idea what to expect from this audio book. I was a huge fan of Winnie the Pooh when I was young (and still do enjoy the films occasionally I will admit) but I could remember nothing about the original work. This made it a joy to listen to, especially as the characters are so different from how they are portrayed by Disney. What does Peter Dennis bring to the story that you wouldn’t experience if you had only read the book? His voices were brilliant. There were a few occasions were it seemed like he had forgotten just who he was supposed to be and did the wrong voice but I didn't mind too much and thankfully it did come out in the narrative just who was meant to be speaking. I especially loved his voices for Christopher Robin and Rabbit. If you are a fan of the TV/Cartoons of Winnie the Pooh I would highly suggest you give the original work a chance. I was pleasantly surprised by the difference. On a side note, the music played to split up the various stories was lovely. Pooh stories are always enjoyable. And the narration is absolutely perfect - cannot possibly be improved on. Lovely story, beautifully read with delightful music at intro and between some of the chapters. Soporific in parts so makes good bedtime audio for children!